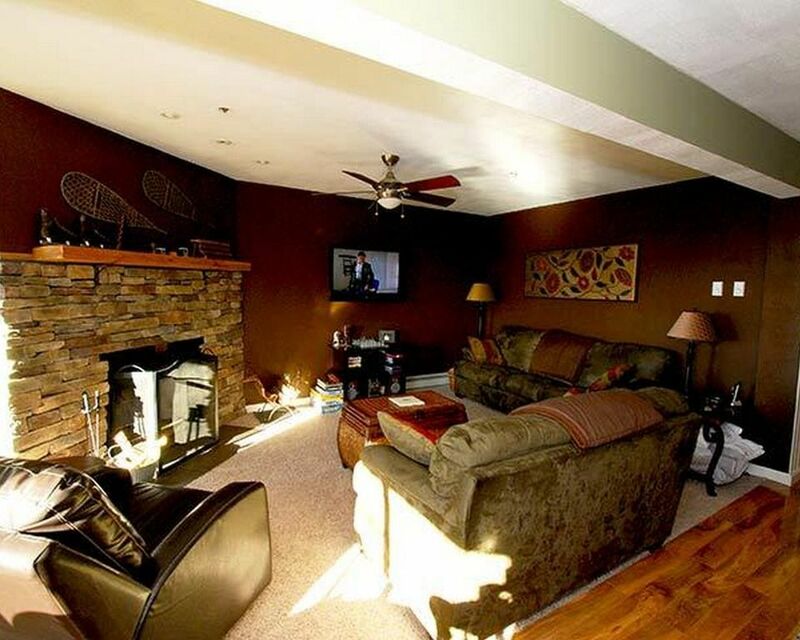 4 BEDROOMS, 4.5 BATHS: Private Hot Tub, Ski In/Ski Out, Snowshoe Village prime central location. 5 Flat Screens. Gas Fireplace. Awesome Sunset Views. MASTER Bedroom: Pillowtop Queen Bed, private bath with whirlpool & shower. TV/DVD. Bedroom # 3: Pillowtop Queen Bed, private bath with shower. TV/DVD. Bedroom # 4: 2 Sets of Bunk Beds, private full bath with shower. TV/DVD. AMENITIES: Great Room with huge kitchen, dining table for 12, fireplace and 50" flat screen TV/BluRay. Washer/Dryer. Professionally prepared for you arrival with hotel quality linens, towels, paper goods, soaps, detergents. Complimentary full bag of STARBUCKS Coffee for you. Popcorn for the kids. Loved it-but these pictures are not the property. We very much enjoyed our stay at Shay's Landing #5. It was very comfortable, a great location, and had easy parking. It was very comfortable for our group (2 families with 4 adults and 5 kids). The large dining table was great and the kitchen was well appointed. The hot tub was not pretty-but kids enjoyed it after each day of skiing. The pictures are not the correct house. The property manager called me the day after booking and sent corrected pictures. It is a similar style but perhaps the furniture is a little more worn then whats shown in these pictures. I enjoyed the natural light. The garage was a great space not only for parking but for keeping equipment. We would absolutely stay in this property again! Great property. Kitchen, den and eating area were very spacious. Nice to have a garage. Great to be so close to Powder Monkey. Only issue was with the parking lot being a sheet of ice for the whole term of our stay. It was difficult to even walk across to the slopes. The resort should spread sand or something. This is not the responsibility of the owner, but noting it here.